1st City of Virginia Beach, Va. The city has taken an aggressive but practical approach toward innovation, using cloud services and new technology to identify solutions to problems and ways to streamline processes that used to be manual. One example is StormSense, which involves a fleet of sensors the city is in the middle of deploying that will gather measurements to allow for near-real-time data gathering on flooding — important for a coastal city vulnerable to both sea level rise and torrential downpours from Atlantic storms. The data is integrated with digital assistants, which the city has also used to help deliver information, and soon municipal services, to residents. The city also uses Accela to enable code enforcement inspectors to do more with tablets on the go, has implemented a new CAD system for police and streamlined election night reporting with secure cloud-based systems. Virginia Beach also leads in regional collaboration, getting other cities on board with its smart cities working group so they can identify ways to share benefits of new technology. The city participates in a regional broadband steering committee, which is important because Virginia Beach is home to two undersea fiber cables connecting to Spain and Brazil, respectively. It’s preparing to connect with a third undersea cable that will link up with France. As part of an open data-open source initiative, the city has migrated its open data portal and city intranet to open source software and has added transparency to a number of efforts. For example, the city has launched a new online Freedom of Information Act (FOIA) tool and has implemented new legislation management software that will index city council meetings to agenda items. The city has also accomplished quite a bit in securing its information technology, using continuous monitoring and cloud access security brokers while upgrading its Internet firewalls, gaining better visibility into threats hidden in encrypted packets and detecting malicious links in emails. 2nd City of Durham, N.C. Maintaining its second-place ranking in this year’s survey, Durham is working to create a culture of innovation, equity and transparency. The city has a strong open data presence, including its Data Academy, now in its second year, to train staff in data analysis, as well as its Data Community of Practice, a group that meets quarterly to discuss transparency and data use. Durham wants to be sure to identify those communities that are not being equally served by government, so it can work toward closing the digital divide. In a related effort, the city has partnered with Duke University and Durham County to build a fiber-optic network to city buildings and Durham Housing Authority locations, which saved more than $400,000 in initial investments and will help close the connectivity gap going forward. This initiative also lays the groundwork for future smart cities work, as well as the growing need for fast, effective and affordable access for residents, which will be essential in overcoming what Durham identifies as its greatest challenge: a population anticipated to grow by more than 75,000 in the next five years. In other areas, Durham’s security strategies are supported by both the city council and city manager, and IT has a strong commitment to cybersecurity training. In the future, Durham plans to use a chief information officer-as-a-service model to further shore up its defenses. Data is stored both on-premises and in the cloud, creating strong barriers against attacks like ransomware and breaches, as well as aiding in natural disaster recovery. 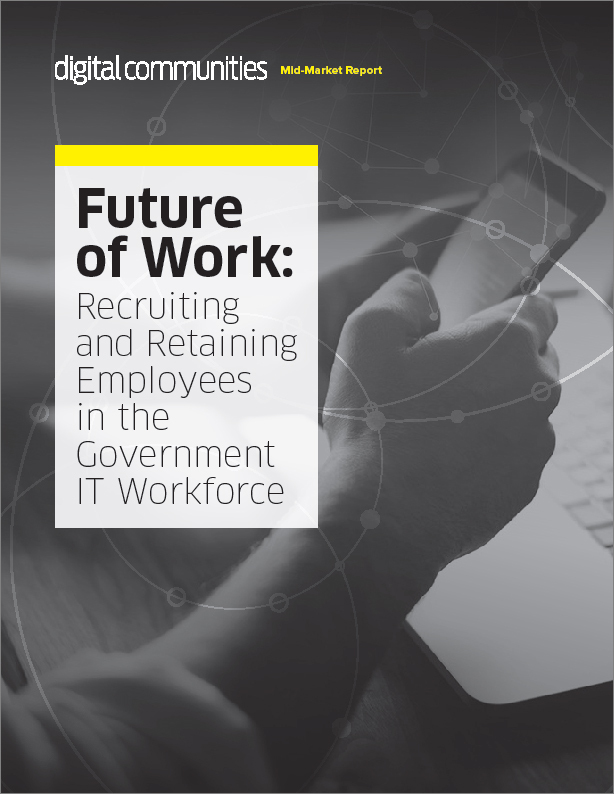 When it comes to workforce, IT is committed to high standards for its hiring processes, which results in an impressive retention rate — employees stay with the city an average of 12 years. 2nd City of Kansas City, Mo. The KCMO Digital Roadmap guides the city’s digital future along five key paths: digital inclusion, open government, engagement, industry and smart city. In March 2017, the city adopted a Digital Equity Strategic Plan for residents, with the goal to “chart a path from digital inclusion to economic mobility and entrepreneurship.” The plan aims to expand employment, education opportunities, business development and entrepreneurship. Kansas City plans to launch an online open data portal known as Open Checkbook, which will illustrate how money moves into and out of the city in the form of salaries, overtime and other spending. The portal will be updated daily. Other data sets to be added to the city’s open data portal will include permit information related to the city planning and development departments, 911 calls to the fire department, as well as resident surveys, (in a form that conceals individual identities). Another “Resident Survey Dashboard” is an interactive data set with information related to quality-of-life metrics, which can inform decisions in areas like planning or policymaking. Kansas City is building on its smart city efforts, which include 328 Wi-Fi access points, 178 smart streetlights and 26 connected kiosks in a 54-block downtown region. New projects will include expanding the city’s streetcar line, implementing a “smart sewers” project as part of a $5 billion sewer overhaul, and increasing the number of smart kiosks to 108. The e-scooter company Bird was recently approved to operate up to 500 electric scooters in Kansas City. 3rd City of Mesa, Ariz. The city of Mesa has several strategies that are enhanced by IT supporting measures. One is a sustainable Mesa economy. Along with the Economic Development Department, IT engages with commercial carriers to use city conduit and dark fiber to enhance services for potential business partners. A proof of concept project demonstrates how city digital infrastructure can provide broadband service to businesses interested in locating downtown. The first customer is the LaunchPoint technology accelerator, which provides entrepreneurs and small companies with business development assistance, networking and training opportunities. Transforming neighborhoods — keeping them clean, diverse, and economically vibrant — is another strategy and the MesaNow mobile app provides a central hub for services and information that includes utility payment access, news, calendar and video. Cultivating vibrant spaces, ranging from a city block to entire economic centers that benefit residents, businesses and visitors is another goal. To help achieve this, Mesa has deployed public Wi-Fi in several locations throughout the city, including downtown, the Mesa Arts Center, city pools and many parks and education centers. To engage residents and businesses, the city deployed ImagineMesa, an online digital forum for conversations about community priorities and unique ideas. Data is gathered from social media sites, such as Facebook, Nextdoor, Instagram, as well as Google Analytics. Since its launch, more than 65,000 people have visited the site and 10,000 people have shared comments or supported an idea. 4th City of Long Beach, Calif.
Moving up from sixth place in 2017 to fourth place this year, Long Beach, Calif., has implemented mySidewalk, an economic insight dashboard that lets the community report neighborhood-level data and allows the city to track, analyze, and share progress on citywide economic objectives. Topics cover population, economy, housing, transportation and health. Long Beach continues to expand its DataLB public data portal, offering more than 125 data sets. Last year, almost 11,000 unique visitors accessed the data. This year, the Technology and Innovation Department launched a crime incident mapping application in DataLB to provide current crime activity information for residents. The entire 2019 Proposed Budget was published on BudgetLB, enabling users to compare expenditures and revenues throughout all city departments. The Southern California city averages 15,000 unique website visitors daily and has increased mobile views by 51 percent over 2017. The mobile-optimized website is supplemented by the Go Long Beach apps, which let people submit and track service requests, find lost pets and locate polling places, among other things. The city’s video team, LBTV, creates videos to explain and promote each app. These videos are published via TV, the Web and social media. The city’s communications team also launched the InsideLB blog to share articles and creative videos on human interest stories related to the city’s work and highlighting the people that work and live there. Long Beach’s Justice Lab, launched in January 2018, has several initiatives underway that aim to break the cycle of incarceration. This includes Long Beach GUIDES (Government User Integrated Diversion Enhancement System), a mobile app developed by the police department and the city prosecutor’s office to give first responders needed information to quickly identify the most appropriate services for residents in need. The city’s Data Warehouse, part of the Data Driven Justice Initiative, is a clearinghouse for multiple data sets that let users crosscheck information about police, health, fire, and the city prosecutor’s office services to help coordinate services for residents. The GUIDES app is currently being tested for the Long Beach Law Enforcement Assisted Diversion program that aims to divert likely offenders to social services, including stable housing, counseling and rehabilitation. The Justice Lab also collaborated with the California Policy Lab at the University of California, Los Angeles to conduct a city data-driven, randomized control trial to identify likely repeat offenders and reduce recidivism rates. 5th City of Miami, Fla.
Miami’s new vision statement boldly proclaims that it is a modern and diverse city and “a global leader in technology, innovation and resilience.” The city manager recently led a departmental reorganization in order to help achieve this vision, bringing together the Office of Innovation, the Department of Information Technology, and the Office of Strategic Management to form the Department of Innovation and Technology (DoIT). This new office will develop a technology road map as an addendum to Miami’s strategic plan. The city has secured a grant from the Knight Foundation to hire a full-time researcher and project manager. They are leading a comprehensive study of Internet of Things (IoT) and smart city technology to contribute to the road map and assist in future smart city development. The city also recently launched an open data portal in beta, with data on things like 311, the budget and frequent permit requests. Additionally, in preparation for its future open data policy, Miami process-mapped some initiatives related to open data, such as intake and governance. In the aftermath of Hurricane Irma last year, Miami leveraged Esri’s ArcGIS Collector technology in order to assist with debris removal. Personnel teams from Public Works and Planning were able to report on the status of streets and debris with smartphones, accelerating the process. The city also used Esri’s technology to create public-facing maps of flood data gathered from the teams’ smartphones. 6th City of Henderson, Nev.
Henderson, Nev., made a significant jump in this year’s survey, up four places over last year in its population category. The IT department continues its work aligning priorities with city initiatives, and this year has made strides in smart cities, connectivity and more. Henderson is working to offer low-cost or no-cost home Internet solutions for students, particularly those in unserved or underserved areas. The city is also meeting with private-sector companies to get fiber to areas determined to have Internet accessibility issues, and IT has expanded Wi-Fi accessibility throughout the city in part to help create safe, connected places for students to go after school and get homework done. In the last year, Henderson brought together a Smart City Working Group that includes representatives from almost all city agencies, and has worked with the state, the local school district and the University of Nevada, Las Vegas on developing a regional smart city strategy. Plans are also in place to incorporate the use of big data from the city’s traffic sensors, and getting that information into the hands of data scientists will further bolster smart city plans. The city is also looking to launch a Smart City Innovation Corridor to serve as a test bed for emerging and civic projects, and is developing a strategy around autonomous vehicles operating on city streets. To strengthen cyberdefenses, Henderson is working on communication around cyberbreach incident response with the state. This year the city conducted three tabletop exercises with city agencies including law enforcement, HR, public relations and more, and plans to update its Cyber Security Incident Response Plan to reflect the potential for breaches in the cloud as more applications are moved off-premises. 7th City of Riverside, Calif.
Riverside is battling back from a structural budget shortfall that resulted in three positions being eliminated from the Innovation and Technology Department and tech replacements being tabled for 10 years. IT staff in Riverside now expect an injection of $8 million spread over the next four years from the passage of a ballot measure in 2016. With the additional funding secured, IT is working on 13 priority projects in areas like cybersecurity, system upgrades, hardware and infrastructure. This well-orchestrated recovery is representative of an IT strategy that is well documented and closely aligned with the city’s overall goals. One example of a recent achievement is the deployment in the past year of more than 100 high-speed access points to boost the speeds and coverage of Riverside’s Wi-Fi network. The additions include in-vehicle devices that expedite uploads of body-worn video from law enforcement. Transparency efforts were bolstered by Riverside’s selection as a What Works Cities jurisdiction, which allowed the city to add a GIS portal to its robust open data site, Engage Riverside. The city’s IT Department has created an Innovation Division to support a culture of modernization, and an Innovation “Lab” is now available for employees to collaborate on challenges that cross departmental lines. The city’s multifaceted workforce development program includes a career road map tool for IT staff to help set a path for continual learning and growth. In addition, Riverside’s successful internship program converts many interns to permanent staff, like the Client Services division within IT, where almost two-thirds of personnel once served as an intern. 8th City of Greensboro, N.C.
Greensboro, North Carolina’s third most populous city, has emphasized citizen services as its central IT mission. Open data and transparency have been given priority, which is reflected in its data portal that the city says is the only one containing city council emails, along with budget information and data that supports decision-making at the community level. Greensboro has redesigned its website to focus on its target audience and includes an easy navigation system and interactive tools that make the site more responsive. The city is laying down plans to build a smart corridor that will take advantage of the latest in IoT, including kiosks, smart water meters and other sensors. Internally, Greensboro is leveraging its data through the use of dashboards that track performance. A major fiber-optic installation will provide economic development support to the region, but it will also enhance government operations. In the area of security, Greensboro has achieved an ISO/IEC 27001 certification, a globally recognized standard for its cybersecurity management program that protects the city’s systems and programs from threats and cyberattacks. The city is one of only a few worldwide to achieve this prestigious cybersecurity certification. 9th City of Wichita, Kan.
Data is at the center of just about everything happening in Wichita. Projects are prioritized based on the value they provide to local residents and daily operations. For example, rather than rolling out gunshot detection systems across the entire city — a costly endeavor — city staff look to GIS heatmaps to determine where they are likely needed the most. An advisory council helps city leaders and IT staff take a “realistic view” of local needs and feasible solutions. The city is also focused on improving performance while saving taxpayer dollars through zero-based budgeting and reassessment of existing resources. Recently, an inventory gave staff new insights into programs and allowed for a reappraisal of what was needed and what was not. When it comes to keeping city operations transparent, Wichita is no stranger to sharing information. Code for America, local media and Wichita State University are all part of a data steering committee that helps staff to publish high-value data sets. To date, 70 of the most common records requests have been published to save staff time and provide ease of access. In September 2018, the city embarked on a mission to replace its CRM to better allow for data mining. Like in many other cities across the United States, the need for access to the Internet has prompted aggressive action. This year alone, efforts to expand the broadband network resulted in a 171 percent growth rate. Over the course of the next two years, officials anticipate connectivity will jump by 762 percent. IT officials are also excited about the potential for an AI chatbot they feel will improve the interface between the city — specifically the website — and residents. There is also potential for augmented reality to help utility staff locate underground power and water infrastructure. In a similar vein, the city and Wichita State University are working on a project to improve wayfinding for the visually impaired. 10th City of New Orleans, La. New Orleans wasn’t ranked in either the 2016 or 2017 surveys, but a modern website, an emphasis on open data and the ongoing use of the IT Infrastructure Library (ITIL) framework for quality assurance and IT change management have earned the municipality of 400,000 a place in this year’s ranking. Several federal consent decrees during the past half-decade have impacted IT funding, but the city has doubled down on cybersecurity, protecting endpoints internally, segmenting networks — and satisfying one decree through the implementation of two-factor authentication. Plans are to stand up a new integrated cloud security tool within the next year. New Orleans has built on its open data portal and data policy to create a data inventory, link GIS data sets, and launch external data hosting and sharing. Its responsive website enables online payment of taxes and tickets as well as early notification of land-use changes, address-based services and information research and searches of the muni code. Recently, the city reached a pact with Waze to integrate its traffic data into New Orleans’ new Streetwise app, which tracks flooding and traffic accidents. A cloud-based ERP will launch next year, and future plans around data include deploying an open checkbook dashboard to increase transparency. Recent projects using data virtualization have had ancillary benefit as the city has been able to leverage them to keep pace with the private sector in attracting new talent. New Mayor LaToya Cantrell, who took office in May, hired the city’s first chief technology officer in July. 10th City of Sacramento, Calif.
Sacramento’s primary technical achievement in 2018 was beginning a citywide switch to 5G. Accomplished through a public-private partnership with Verizon in June 2017, Sacramento’s overhaul of high-speed data infrastructure involved more than $100 million of investment in fiber-optic infrastructure, “smart cities” solutions, youth development and public Wi-Fi. By adding small cell towers to more than 200 utility poles, Sacramento plans to make 5G available everywhere and put free Wi-Fi in 27 public parks. The partnership made Sacramento one of the first markets in the nation to have citywide 5G residential broadband service. The city’s website also describes plans for digital kiosks in various neighborhoods, with touchscreens that offer access to real-time transit information and public transport maps, emergency services, information about events, historical information and neighborhood news. Complementing its push toward mobile solutions, Sacramento started building a portfolio of useful apps for residents, launched a new search website, made a new Sac311 app its go-to resource for reporting issues or requesting services, and converted a parking map to a GIS-driven interactive map to help people navigate the new Golden 1 Center and elsewhere downtown. Sacramento is also attempting data-driven improvements to make garbage-collection routes, police citations, water meters, building inspection and invoice payments more efficient. Hoping to attract professionals to support its digital future, the city’s IT department is conducting a study to ensure compensation, classification and staffing levels of its IT professionals are appropriate.